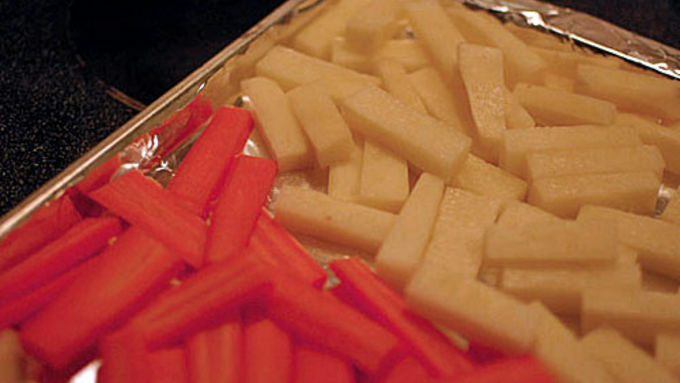 Chop the carrots and potatoes into thick matchsticks. Roast at 450°F until tender. 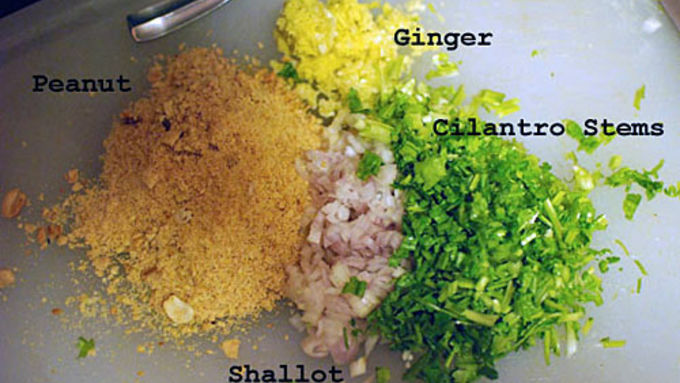 In a food processor or blender, make a paste out of the shallots, ginger, garlic, cilantro stems, red pepper flakes, garam masala, and 3/4 cups of the peanuts. You probably want to start the peanuts in the blender first to break them down before adding the rest of the ingredients. 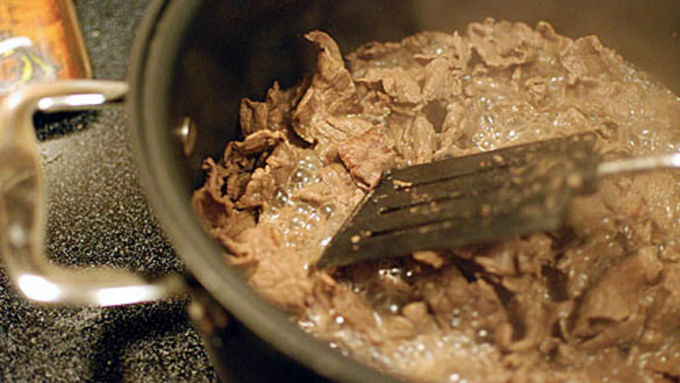 In a hot pan, add the beef. Stir and cook until browned. Add the curry paste and remaining peanuts. Cook 5 minutes. Add the coconut milk and Soy Sauce. Cook 15 minutes. 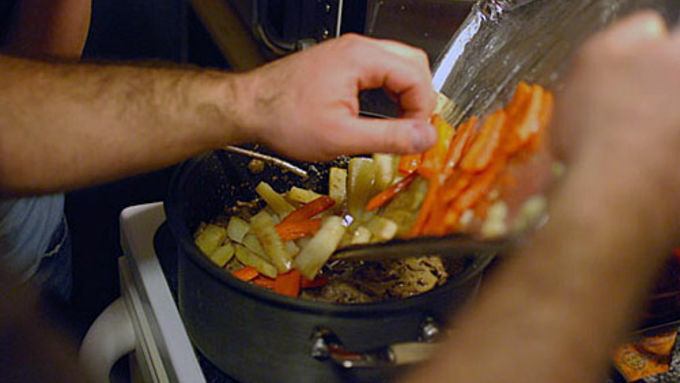 Add the potatoes and carrots to the pot and stir to combine. Stir gently so the potatoes don't break up into the sauce. 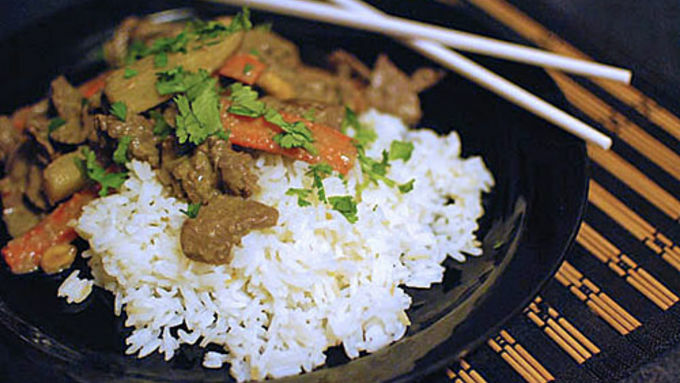 Cook until warmed throughly and serve over jasmine rice. Thai food is such a joy to cook, and it really feels like an accomplishment when you’re finished! The first few times you make Thai, it will feel a bit intimidating and the food will come out great but not amazing. After you get your bearings in the Thai kitchen, things start getting really easy and the food starts tasting better than the restaurant! 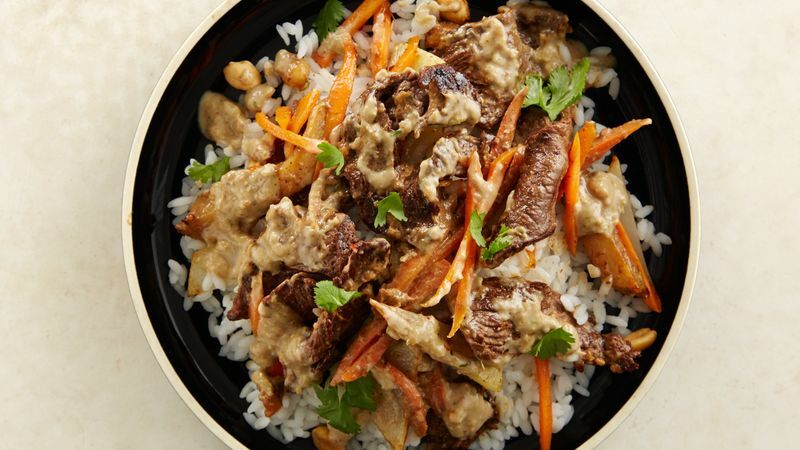 This Thai Beef Massaman recipe takes a few shortcuts on the authentic version, but doesn't make any compromises on taste! Serve this at your next dinner party and impress your friends with your international food prowess.